InstaMold is perfect for making a quick and perfect reproduction of your treasured memorabilia, including 3D objects. 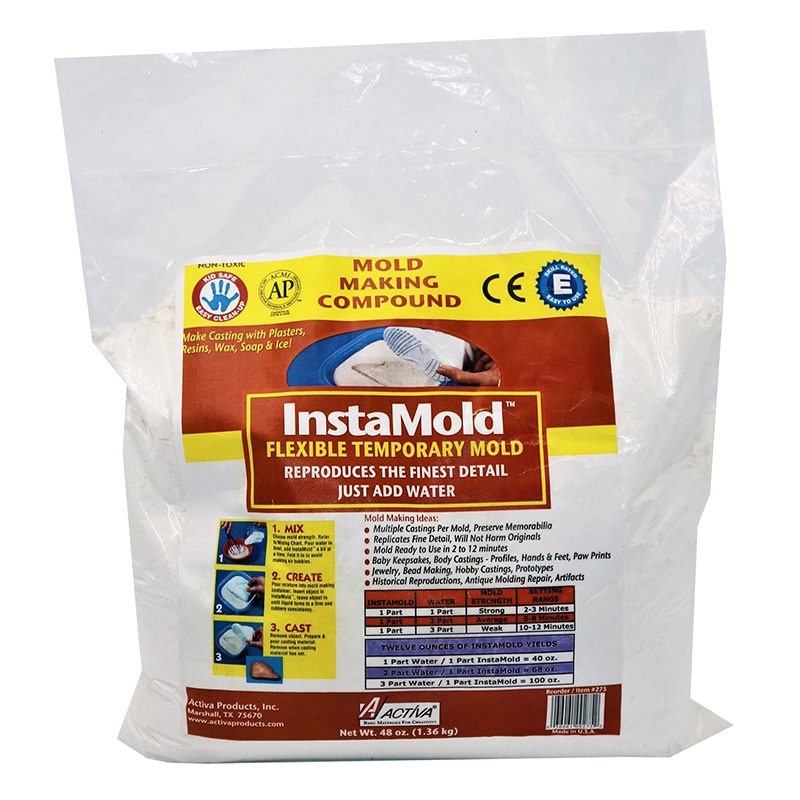 InstaMold is a temporary mold making compound and is simply activated with water. This wonderful material is perfectly safe to make a body cast with and will make a replica which includes the finest of detail. 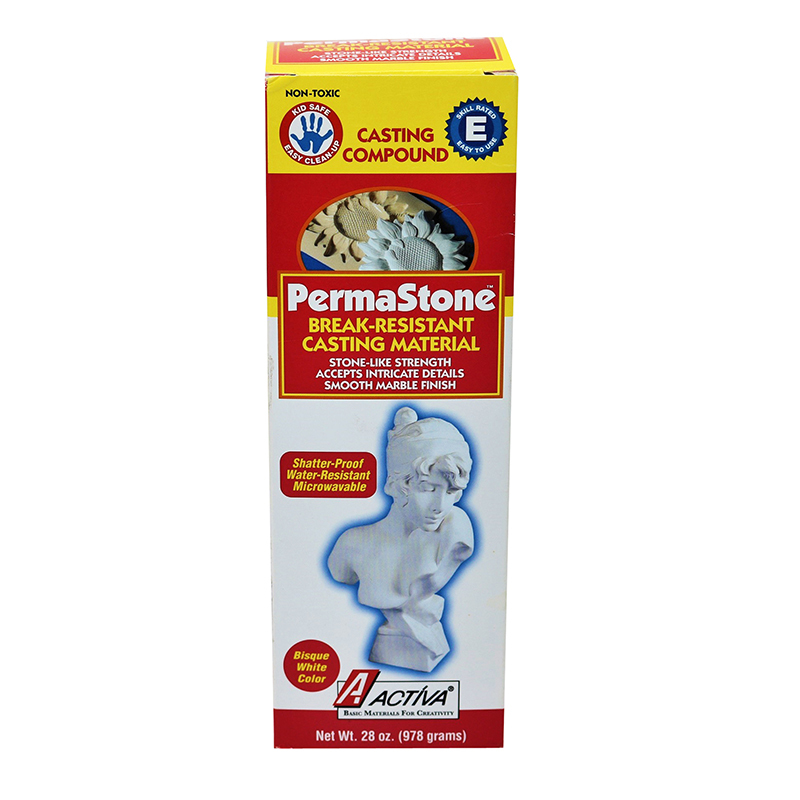 InstaMold does not stick to the original object and once you have your temporary mold you can then make a number of permanent castings using other materials such as ArtPlaster, Permastone, resin, or wax. 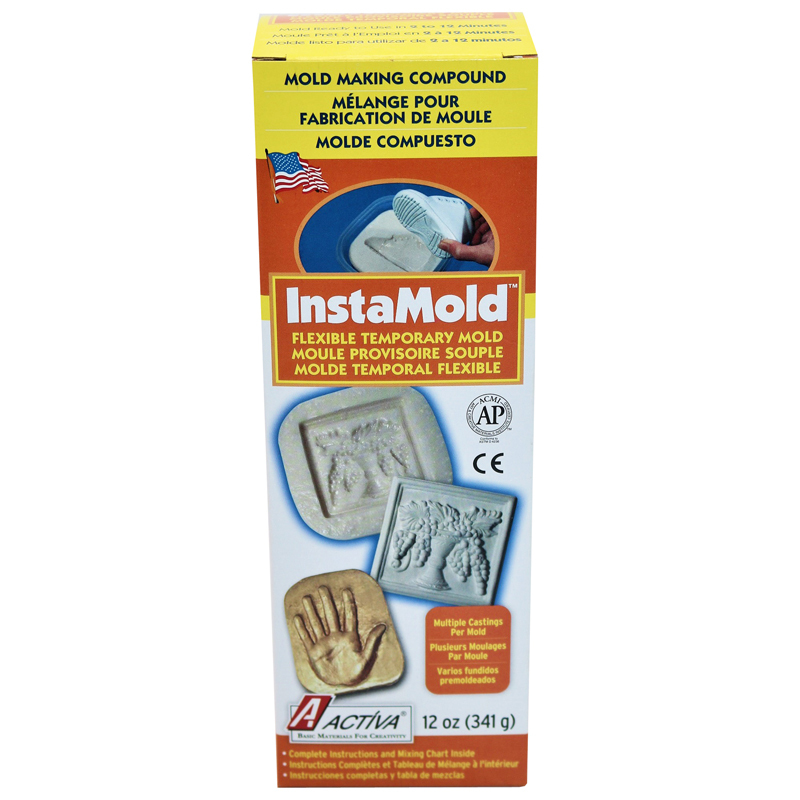 InstaMold is the perfect mold-making material for craft projects such as custom-designed pottery pieces or cherished heirlooms! Each pack includes 48 oz. of InstaMold. The Instamold 48 Oz can be found in our Casting Compounds product category within the Arts & Crafts. The product works well, but the texture is very gritty. I have tried multiple different mixing methods and it doesn't seem to make a difference. The other thing is that I can't stand the smell. It stinks. Aside from the grit and the smell it works as claimed. I do caution you however to use the molds right away because if you don't keep it airtight it will dry out and if you keep it airtight for too long it will grow mold.